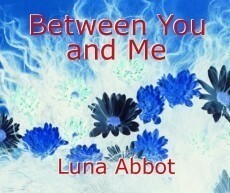 Two people meet after hitting a new low in their short lives: Risa's athletic scholarship is destroyed by random chance. Clare's father is only just back from prison; his disgrace gets him fired from his bionics company and hangs over her whole family, forcing them to leave town and for her to transfer schools. A slow-starting (and inexplicit) romance with a bit of science fiction and lots of cussing teenagers. And yes: it is between two girls. Your eyes do not deceive you. No one will make you read if that's a problem. Never use Google Translate for your love story. NEVER. This moving story of two people against the world and their government was translated from Spanish to Chinese, to Japanese, to Swahili, and then Spanish again, and finally to English. This is the result. You win a thousand dollars if you can figure out the original plot. 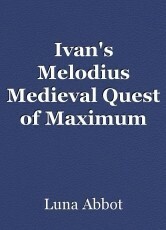 Ivan is the Chosen One who will end the music curse that has fallen over the fair lands of Dorem, Ifa, and Solati. But first, everyone needs to stop trying to kill him.